Michael Beaney is a Lecturer in Philosophy at the University of Leeds and author of Frege: Making Sense (1996). Abbreviations of Works by Frege. Introduction. Begriffsschrift (1879): Selections (Preface and Part I). 'Letter to Marty, 29.8.1882'. The Foundations of Arithmetic (1884): Selections (Introduction and 1-4, 45-69, 87-91, 104-9; with summaries of the remaining sections). 'Letter to Husserl, 24.5.1891': Extract. 'On Sinn and Bedeutung' (1892). 'Comments on Sinn and Bedeutung ' (1892). 'On Concept and Object' (1892). Grundgesetze der Aristmetik, Volume I (1893): Selections (Preface, Introduction, 1-7, 26-29, 32-33). 'Review of E. G. Husserl, Philosophie der Arithmetik I' (1894): Extract. 'Letter to Russell, 22.6.1902': Extract. 'Letter to Russell, 28.12.1902': Extract. Grundgesetze der Aristmetik, Volume II (1903): Selections (55-67, 138-47, Appendix). 'Letter to Russell, 13.11.1904': Extract. 'Introduction to Logic' (1906): Extract. 'A Brief Survey of my Logical Doctrines' (1906): Extract. 'Logic in Mathematics' (1914): Extract. 'Letter to Jourdain, Jan. 1914': Extract. 'My Basic Logical Insights' (c. 1915). 'Notes for Ludwig Darmstaedter' (1919). 'Sources of Knowledge of Mathematics and the Mathematical Natural Sciences' (1924/5): Extract. 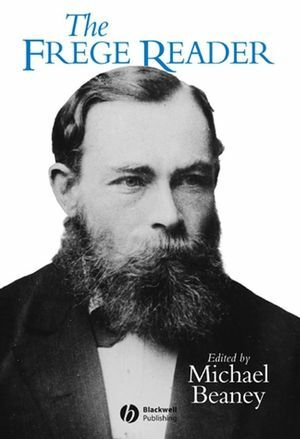 Appendix 1: Chronology of Frege's Life and Works. Appendix 2: Frege's Logical Notation. Appendix 3: Guide to Further Reading. * First single volume edition of Frege's key writings. * Contains substantial editorial material to maximize accessibility to students.